For most people, it’s a dream they’ll revisit every now and then. For others, it’s a realistic goal they may very well achieve. If you’re thinking about trying for an early retirement, you’ll need to take the planning process seriously, which involves asking yourself some important questions first. Before you put too much time and energy into trying to retire early, be sure you answer the following four questions first. 1. What Will I Do with My Time? Having too much time on your hands might seem like a great problem to have right about now. However, boredom in retirement is a very real issue you need to avoid. There’s no point to working hard enough to retire early if you don’t have a plan for how to enjoy your newfound freedom. Make sure you have ideas for filling your time and then budget for them with your retirement savings. 2. Is My Partner Onboard? It doesn’t matter how badly you want to retire early if your partner doesn’t, you’re probably going to have to rethink your plan. Don’t make any changes to your savings strategy until you speak with them. They may not share your enthusiasm for retiring early. While this doesn’t necessarily have to stop you, it will affect how you set money aside for retirement. 3. When Do I Want to Retire By? Some people plan to retire early, but their launch date remains a bit vague. Usually, this type of planning has to do with their savings hitting a certain amount and then, they’ll say goodbye to their 9-to-5. Retirement planning should never involve this type of hazy planning. Instead, look at what you hope to accomplish when you retire. Then, decide when you’ll need to retire by to realistically achieve these goals. At that point, it should be clear how much you’ll have to put away and when that should happen by. Now, begin saving accordingly for that concrete date. 4. How Will I Pay for Health Insurance? Retiring early generally means before 65. That will mean that you won’t be eligible for Medicare, though, so you’ll need to think about where you’ll be getting health insurance from. As it’s extremely unlikely your employer will extend your benefits, you’ll most likely need to get an insurance policy on your own. The importance of this consideration cannot be overemphasized. Long-term medical care could easily empty your entire retirement nest egg if you’re not prepared. 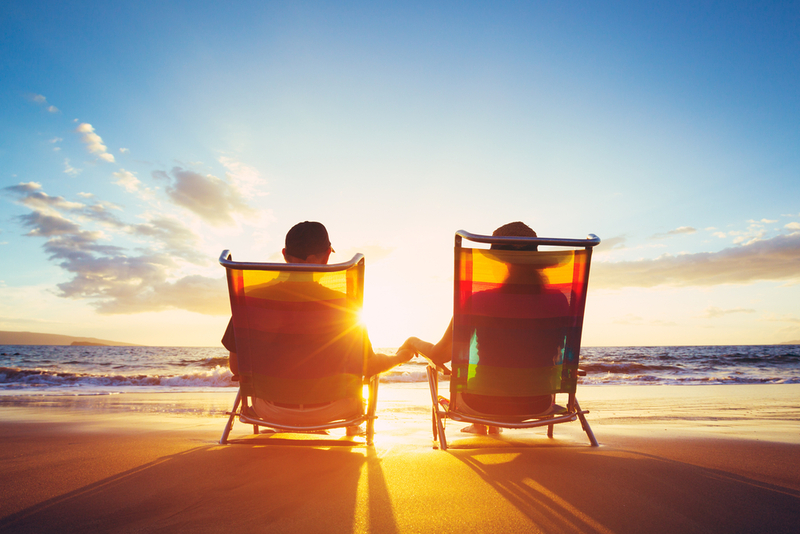 At Mooney Lyons, we understand what a big decision it is to opt for an early retirement. You’ll need a well-designed plan to hit your target and some help adjusting once you reach it. Contact us today and let’s talk about what it will take to reach your ideal retirement date with the necessary funds. The opinions voiced in this material are for general information only and are not intended to provide specific advice ore recommendations for any individual. Securities offered through LPL Financial, Member FINRA/SIPC. Investment advice offered through Sequoia Wealth Management, a registered investment advisor. Sequoia Wealth Management and Mooney Lyons Financial Services, Corp are separate entities from LPL Financial. ©2014 Mooney Lyons All Rights Reserved. The LPL Financial Registered Representatives associated with this site may only discuss and/or transact securities business with residents of the following states: AL, AZ, CA,CO, FL, GA, IA, IL, IN, MD, MA, MI, MO, MT, NC, NE, NY, OH, OR, TN, TX, WA and WI.